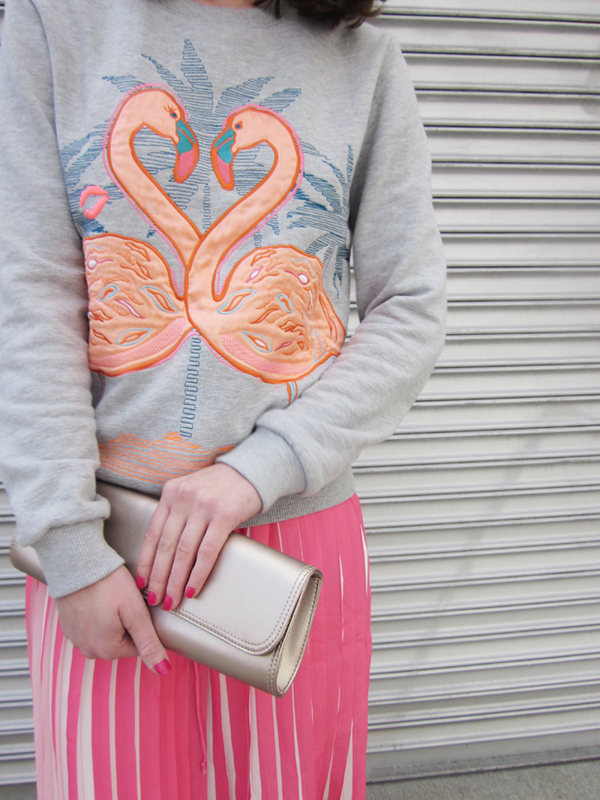 Really love this sweatshirt (which you've seen before here). It brings a tropical vibe without the tropical weather which I can get into. 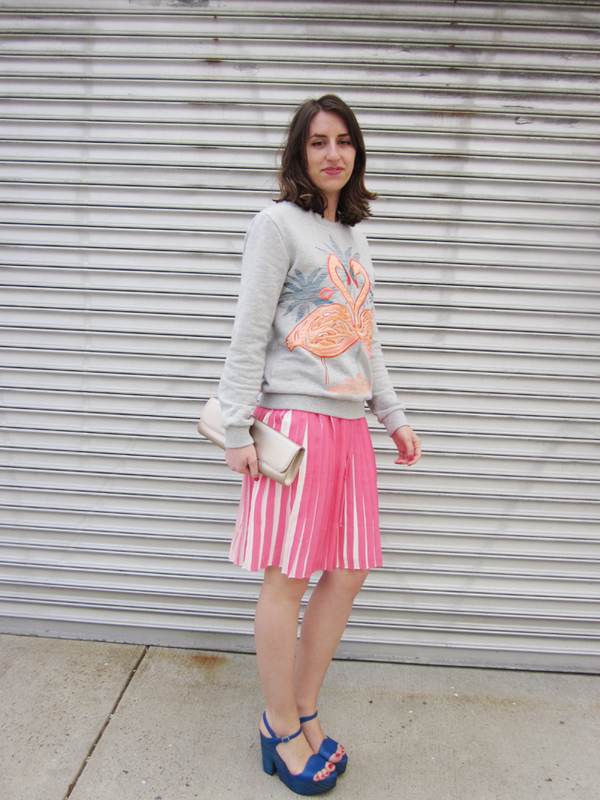 The skirt I got last year at Joe Fresh and now I am really not regretting getting it in blue too! 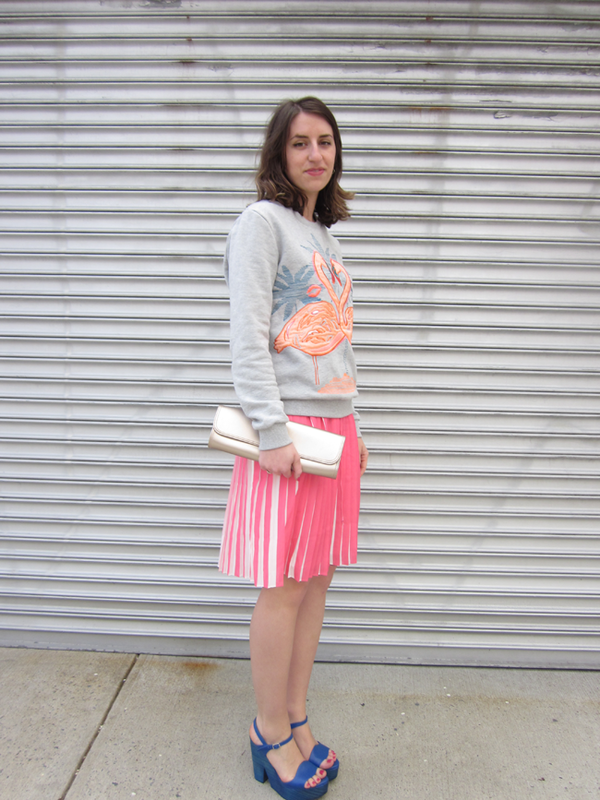 Its such a fresh take on the pleated skirt and perfect for Spring! O and if the outfit wasen't already colorful enough I added my favorite blue platforms.